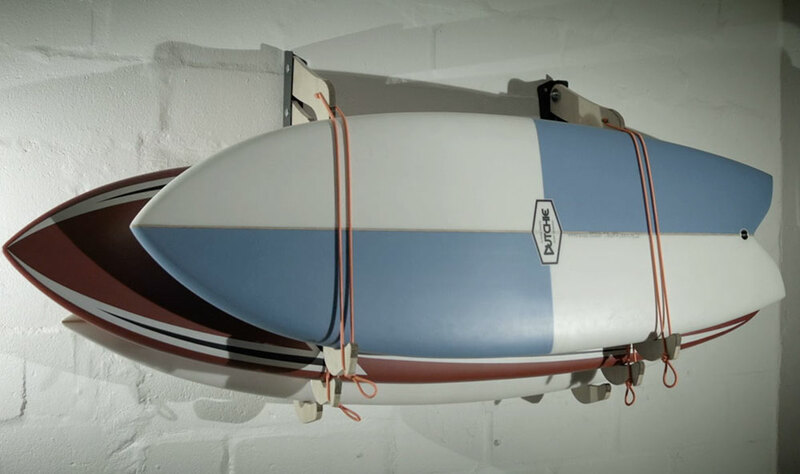 Jabba Surfrack combines functionality, usability, sustainability, and aesthetics into this simple wall mounted surfboard storage system. 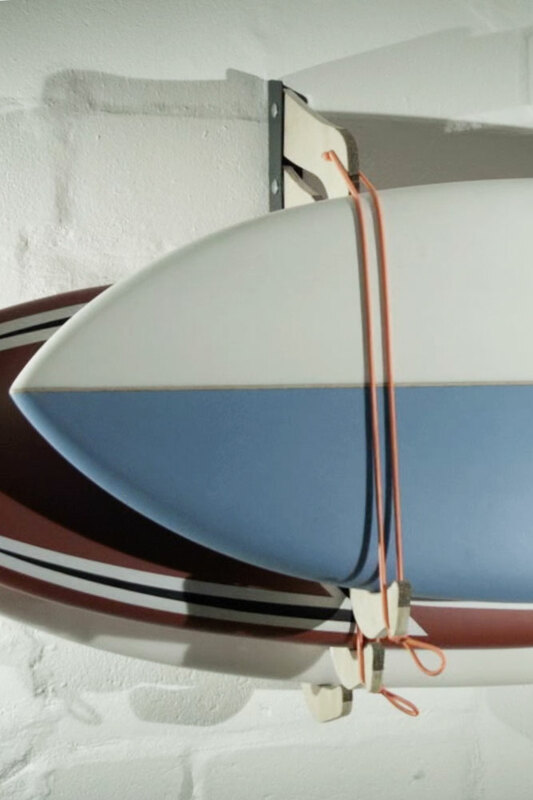 The thinking behind this product was to create an out of the way, compact, and secure storage system for your surfboards. In return, this would extend the lifespan of your boards. The natural and sustainable material choices compliment the user-friendly form and function of the product. 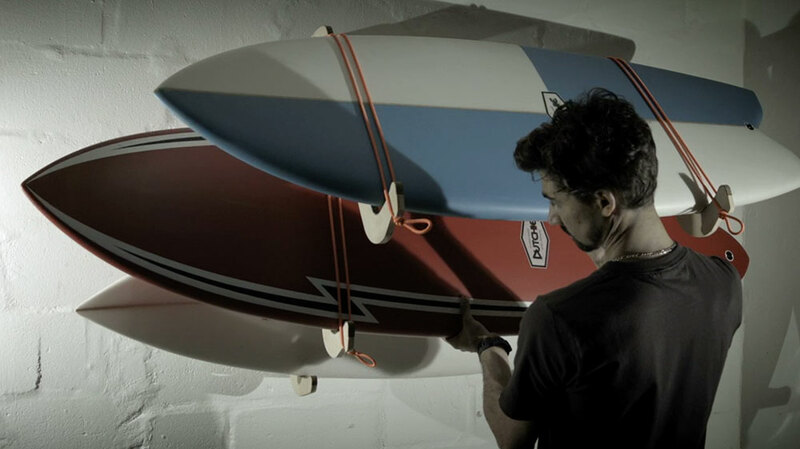 The Jabba Surfrack comes flatpacked with a simple DIY assembly and mounting instructions. This product will live a longer life if used indoors. 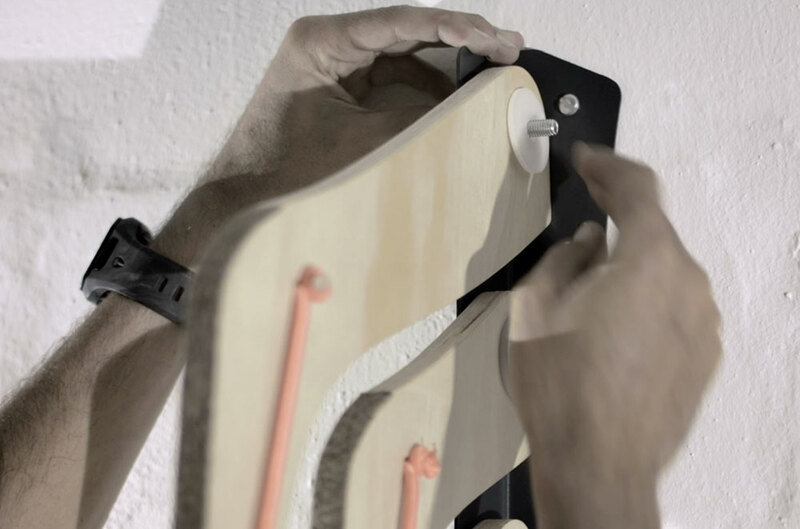 Material: Pine Ply, Cork, Powder coated steel & bungee Cord. Notify me when Jabba Surf Rack is available.